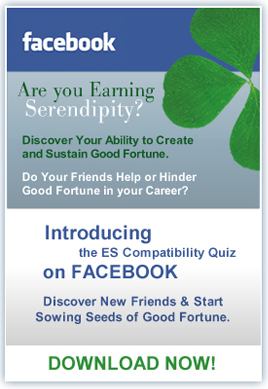 Take the quiz that will determine your Serendipity Quotient (SQ). Your results represent your propensity for creating and sustaining opportunities in your work. Please check box to keep your score confidential. Order Your Copy of Earning Serendipity: 4 Skills to Creating and Sustaining Good Fortune in Your Work and receive FREE access to the good fortune vault. Copyright 2014, Glenn Llopis Group LLC, All rights reserved.